Christmas isn’t just a season, it’s a feeling! It’s that time of year when party invites are aplenty and Christmas lists are compiled! 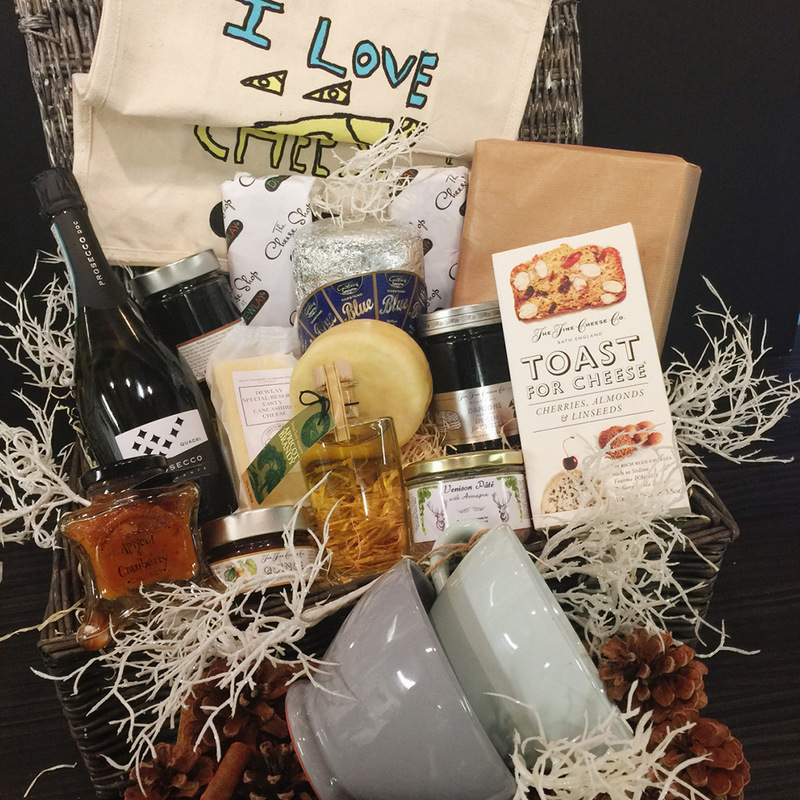 To help make your preparations go smoothly, we have a whole host of hampers and gift boxes available. Hand packed and wrapped, these festive hampers and boxes are brimming with tasty treats and feasts. Please note all of our cheeses are suitable for vegetarians and made with pasteurised cows’ milk. All hampers are available for delivery to mainland UK only. 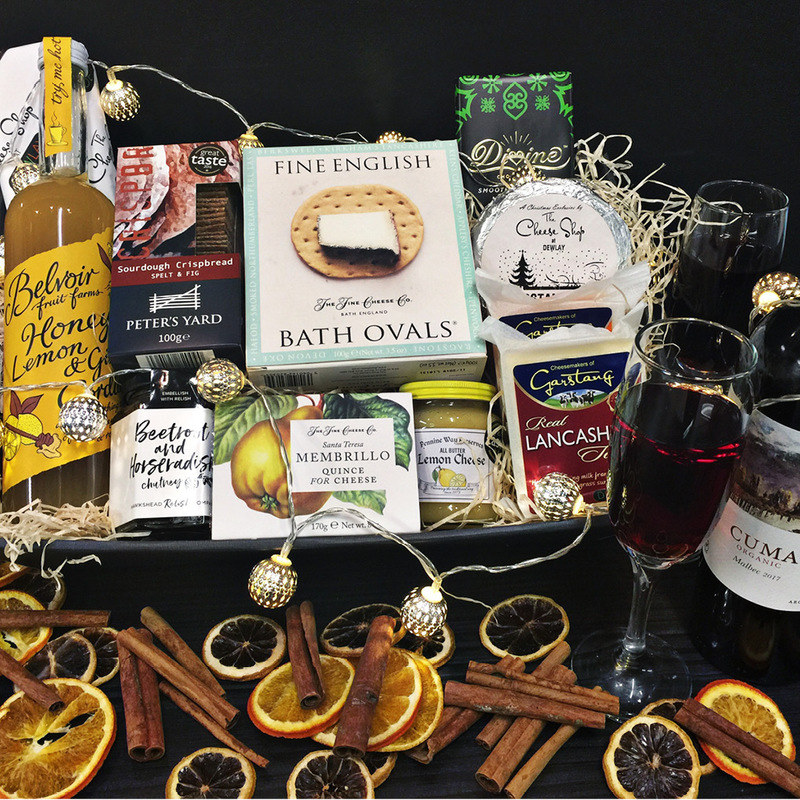 This elegant hamper has the markings of a perfect present, with cheese, honey roast nuts and festive jam, all sat alongside decadent apricot brandy liquor. 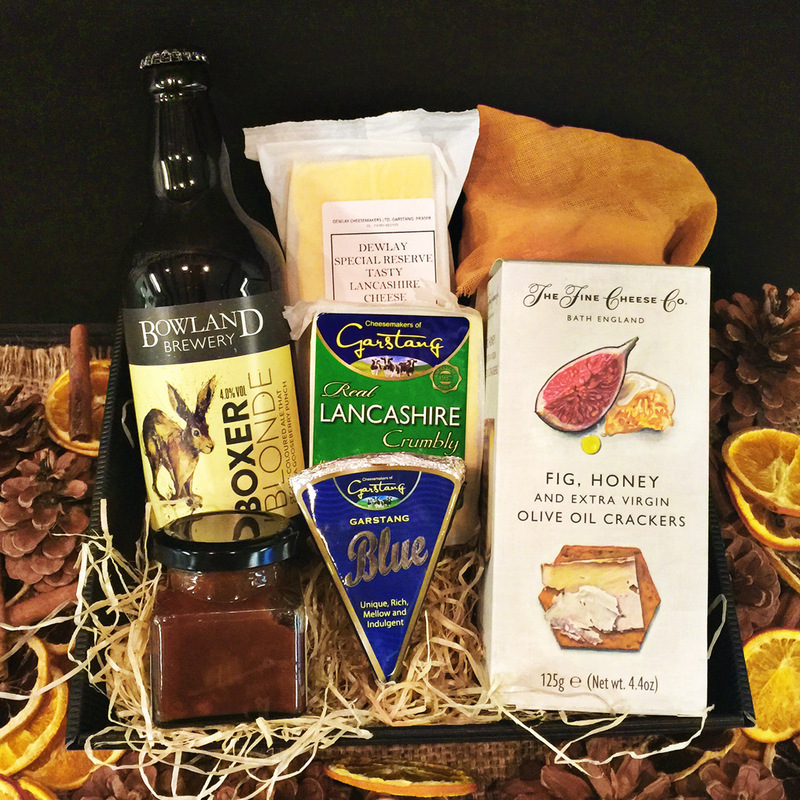 For the man who has everything, this gift box will be a welcome gift full of cheeses including; Garstang Blue, a festive waxed cheese and extra Mature Cheddar alongside Hen Harrier ale and perfect cheese accompaniments. 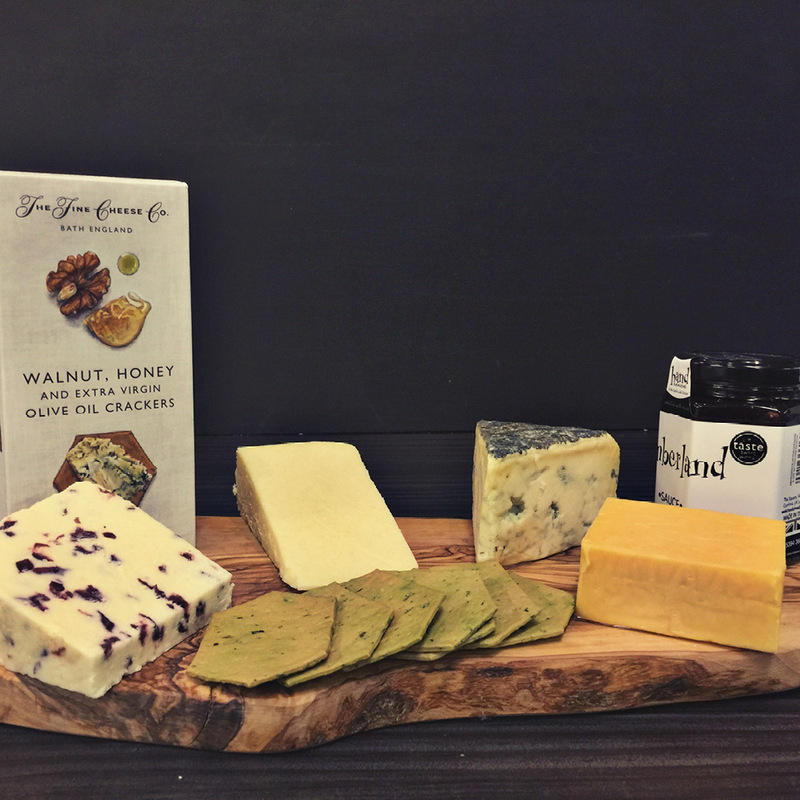 A great after dinner gift, this cheeseboard comes ready to serve with a range of Dewlay’s favourite cheeses and some festive treats too! All served on an olive wood board. If you need a gift for the whole family, this is the ideal gift box for them. Sure to please young and old, it contains Christmas Day staples including cheese, crackers, crisps and chutney, as well as a bottle of wine and a delicately flavoured cordial. Whoever lifts the lid on this Christmas box will be amazed at what’s inside. 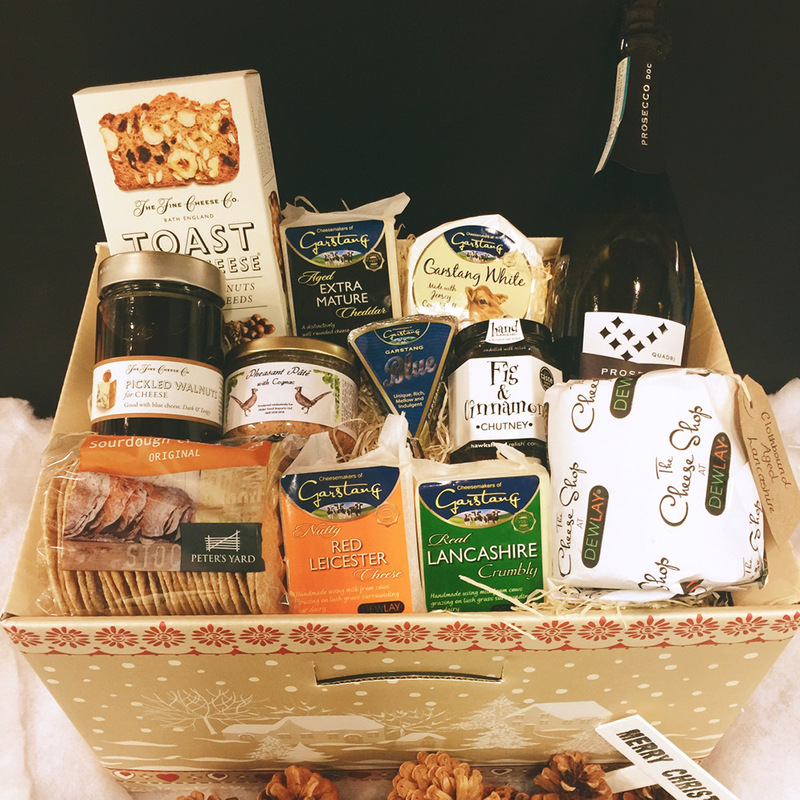 Presented in a keepsake Christmas scene box, the Garstang hamper has our limited edition Clothbound Christmas cheese alongside great accompaniments, including mixed nuts in acacia honey, artisan cracker box, couture chutney and Treviso Prosecco. 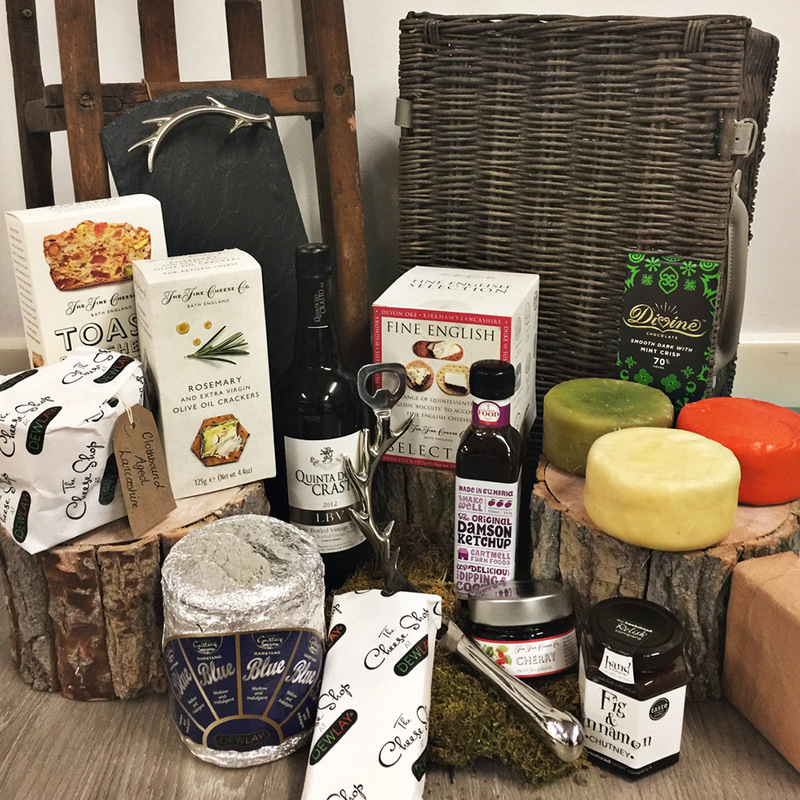 Our flagship hamper is back and this time it’s filled with even more products and Christmas treats. 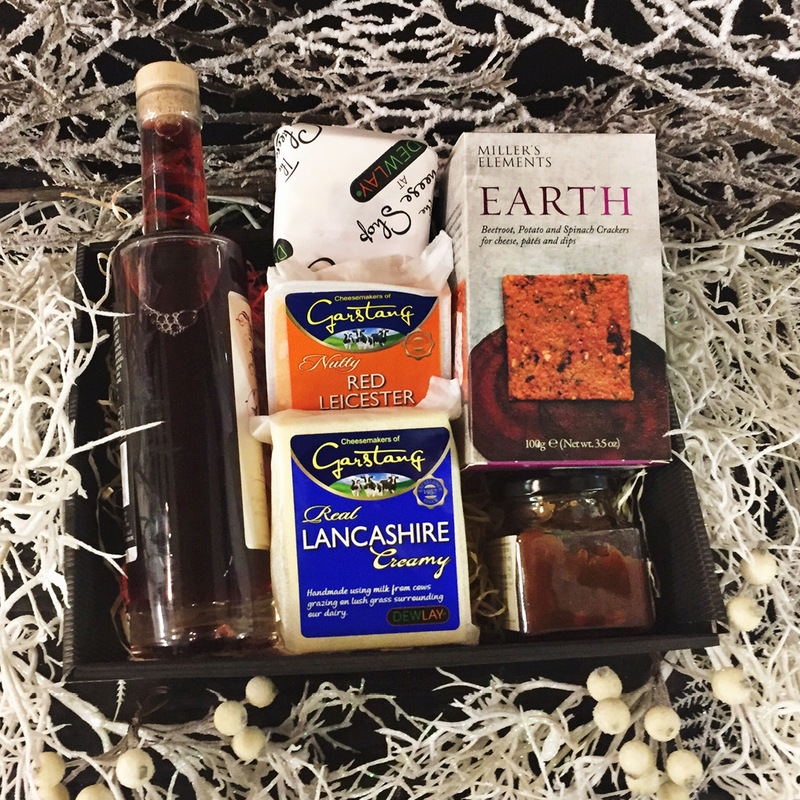 Presented in a traditional wicker hamper, it’s packed with Lancashire Cheeses including the showpiece Clothbound Lancashire and whole Garstang Blue, as well as a selection of crackers, decadent chutney’s and drinks including Port and Il Santo dessert wine. This hamper is a real showstopper and ticks all the boxes for being a statement hamper. Featuring Christmas exclusives and our top of the range provisions, the Festive Deluxe Hamper also comes with a platter dish and large serving bowl, which is all presented in a traditional wicker hamper. Disclosure – For a full list of ingredients and allergies please contact us.